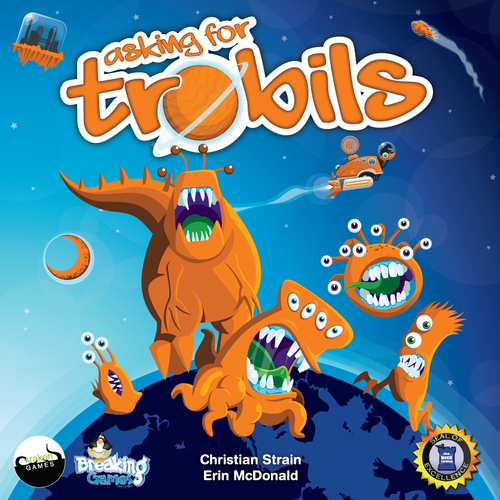 Asking for Trobils is a fun and exciting worker placement game from Breaking Games, in which players are hunting the space-vermin known as Trobils that are overrunning the planet of Paradise. Setup varies slightly depending on the number of players, but each player starts with one ship, and can eventually build at least one more. On their turn, a player must either place a ship somewhere and take the action for that location or pick up all their ships on the board. You can always play on a location, and if another player is already there you can bump them and they take back their ship to use on their next turn. There are 10 main locations that either gives a player resources and/or allows you spend your resources to get upgraded resources and equipment. The eleventh location is the planet of Paradise. When a player travels there they spend resources to trap a revealed Trobil. Different Trobils have different costs and are worth different points, and as soon as you capture one Trobil another card is revealed to replace it. If that card is another Trobil, the next player to land on Paradise can capture it. If the card revealed is a city card, it means that city is happily Trobil-free and the game is one step closer to ending. When there are no more Trobils in play the game is over, and the player with the most points wins. The game is a fair bit more strategic than how I described it and is a lot of fun. The ships are lovingly designed with homages to everything from the basic UFO to the creations of Joss Whedon and Matt Groening, and more. The main board is circular, which gives it a wonderful spacey feel, and the blue/orange colour palette looks incredible. When there are fewer players, things felt a bit slow to start but picked up as players built additional ships. If you were playing a six or seven player game, it would have the potential to get crazy quickly. The game is recommended for ages 12+ mainly for the amount of strategic play involved, but the vibrant art style makes it very appealing to younger players, who would probably have fun “helping” an older player. My five-year-old “guest reviewer” Evan says the game is confusing because they aren’t running away from the same thing on the box as they are on the rulebook. My take on that is that he clearly noticed the art and looked at it closely enough to form an opinion. 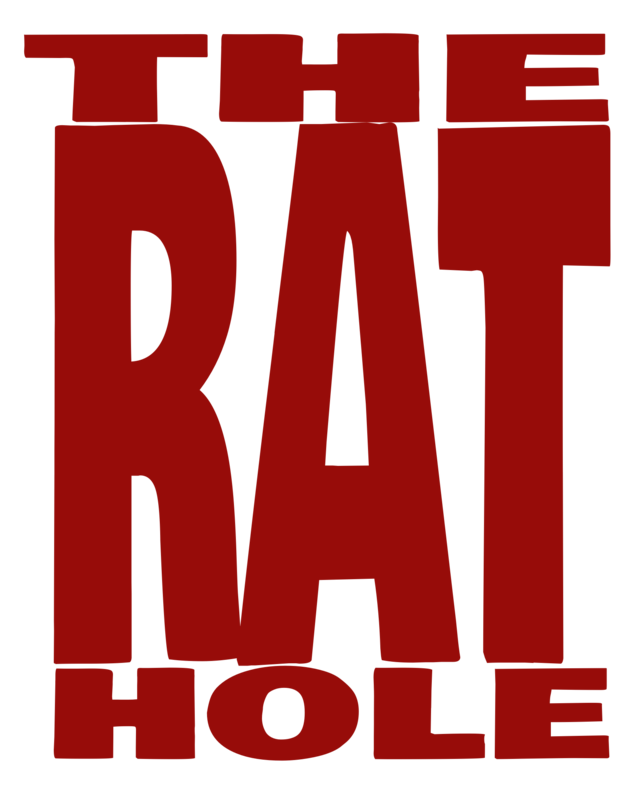 So from both a grownup and a five-year-old, you should check this game out.